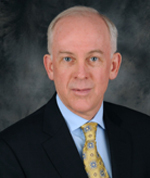 Tim began his career in the financial services industry in 1985, where he counseled both individuals and corporations in a variety of roles. He then started his practice in 1993, focusing on business and personal retirement planning for pre-retirees and retirees. Tim has been awarded the Accredited Investment Fiduciary® (AIF®) designation from Fiduciary360 (fi360). This designation signifies knowledge of fiduciary responsibility and the ability to implement policies and procedures that meet a defined standard of care for managing client money in a fiduciary capacity. He is on the board of directors for the Wolcott Chamber of Commerce and actively involved in the American Diabetes Association and the Livestrong Foundation. Tim lives in Wolcott with his wife, Lori. He enjoys golf, biking, kayaking, viewing sports, reading, traveling, and spending time with his family, including his first grandchild, Adeline. 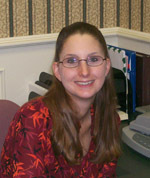 Stephanie started at Galvin Financial, LLC, in March 2007 as the office administrator. She previously was a teller supervisor for TD Banknorth. Stephanie attended Naugatuck Valley Community College and obtained an associate's degree in liberal arts and science. In September 2008, Stephanie passed the FINRA Series 7 securities registration general representative exam. Stephanie is responsible for the efficient operation of all office activities at Galvin Financial, LLC. She handles initial and ongoing client servicing and is the friendly voice answering our phones. Stephanie lives in Waterbury with her husband, Rich, and son, Samuel. She enjoys spending time with her family, walking her dogs, playing games, and reading. Recently, she started biking and taking Zumba classes.